Happy birthday to The Learning Cauldron – tutor on! Having previously worked as a private tutor on a part-time basis for nearly a decade, two years ago this month, I took the plunge and founded The Learning Cauldron, officially separating my one-to-one English, French and German tutoring activities from my copywriting and proofreading business. In the beginning, I offered tuition only here in Kinross-shire, but now (thanks to the magic of Skype and Facetime!) I can easily help tutees in other parts of Scotland, the UK and abroad as well. It’s been an incredibly exciting two years since I set up the new business, and time has certainly zipped by. I have to confess that it’s also been stressful and challenging on occasion, but without exception it’s been a real privilege to work closely with so many fantastic young people and watch them grow in confidence over the weeks, months and (in some cases) years. 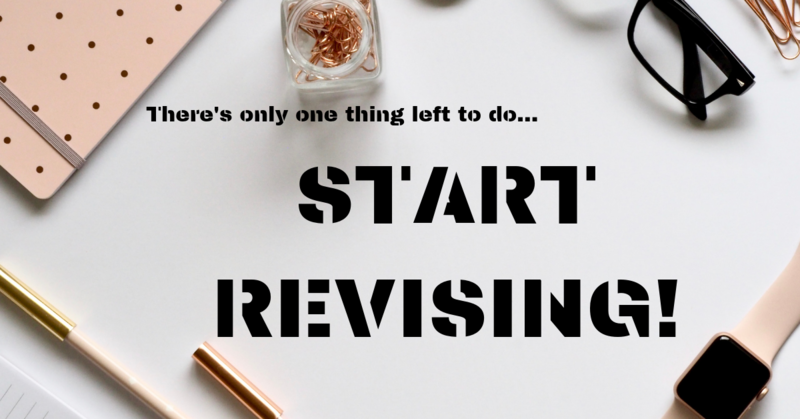 Last week I was contacted – completely out of the blue – by a BBC researcher and was delighted to feature (albeit it briefly) on presenter Kaye Adams’ morning show on Radio Scotland to share some last-minute exam revision tips. I have to confess to being more than a tad nervous before going live on air, and the whole experience certainly made me rethink my blithe advice to tutees that there was ‘no need to worry’ before doing class presentations! Still, the process of waiting online and listening to the other speaker (media and modern studies teacher Paul Laird from Leith Academy in Edinburgh) then being invited to give my ha’pence worth was extremely interesting. 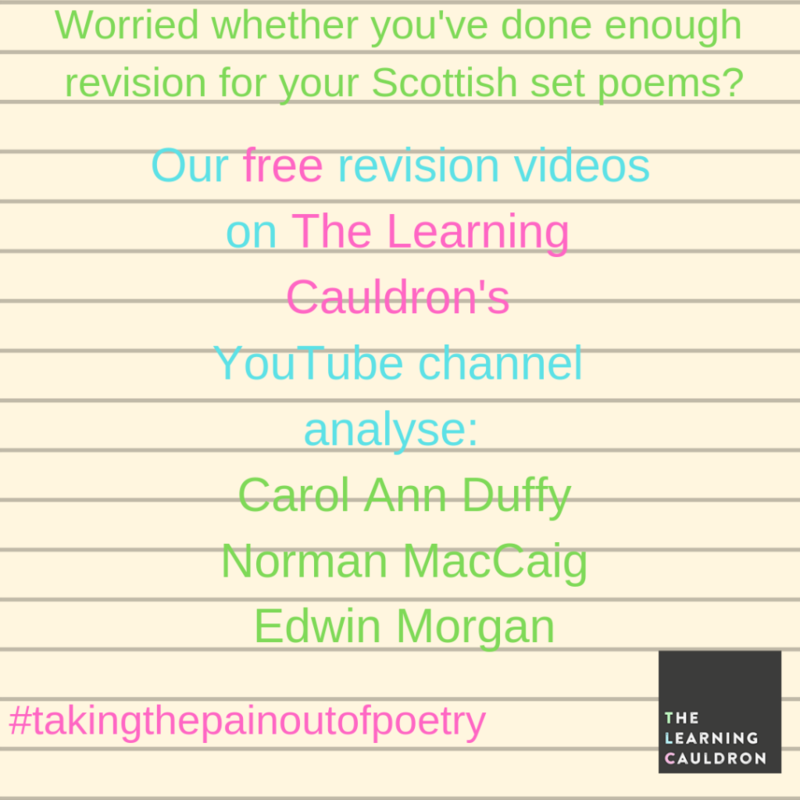 One bonus was that it prompted me to reflect on what’s happened since I founded The Learning Cauldron in April 2017, and to do a recap on the resources I’ve created since then, many of which I’ve made freely available to any teenagers sitting the Scottish Qualifications Authority’s Nat 5 and Higher French, German and (especially) English exams. Having listed these resources on Wednesday morning as I sat waiting to go on air, just in case there was an opportunity to mention any of them (sadly, there wasn’t! ), I thought I’d share here on the blog a list of all the information available from The Learning Cauldron for Higher and Nat 5 English exam candidates. Check out our social media accounts – on YouTube, Twitter, Facebook and Instagram. 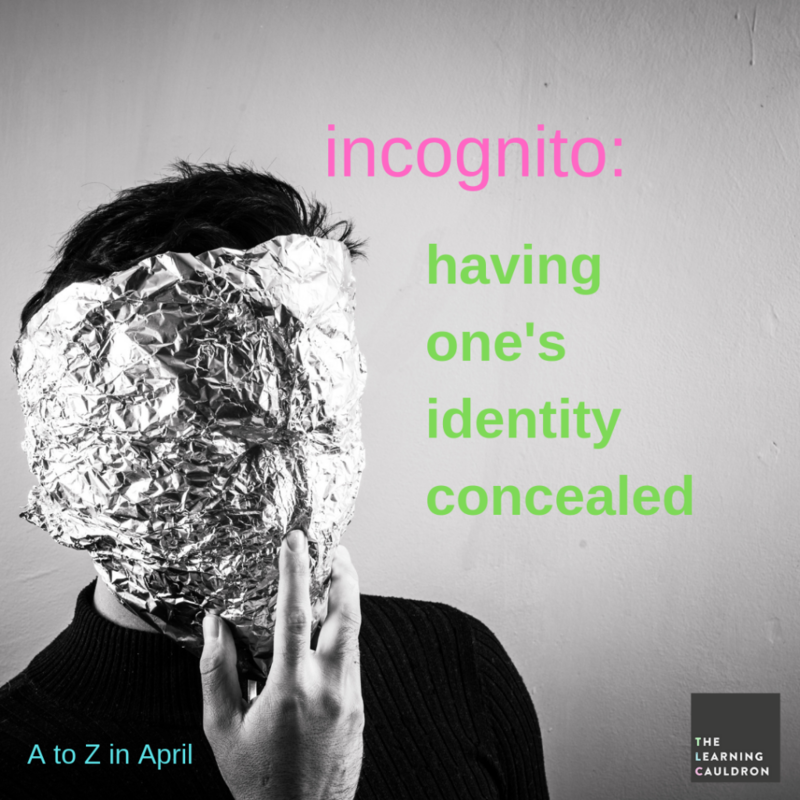 You’ll find plenty of resources aimed at helping with English plus a few relating to foreign language learning, ranging from handy exam revision tips to links to useful articles. Learning doesn’t have to take place inside. I’ve taken several of my one-to-one tutees on ‘study strolls’ to get them away from books and screens. These walks in the countryside offer a perfect opportunity to discuss the play, novel or poems they are studying for their exams, all the while breathing in the clear Kinross-shire air. 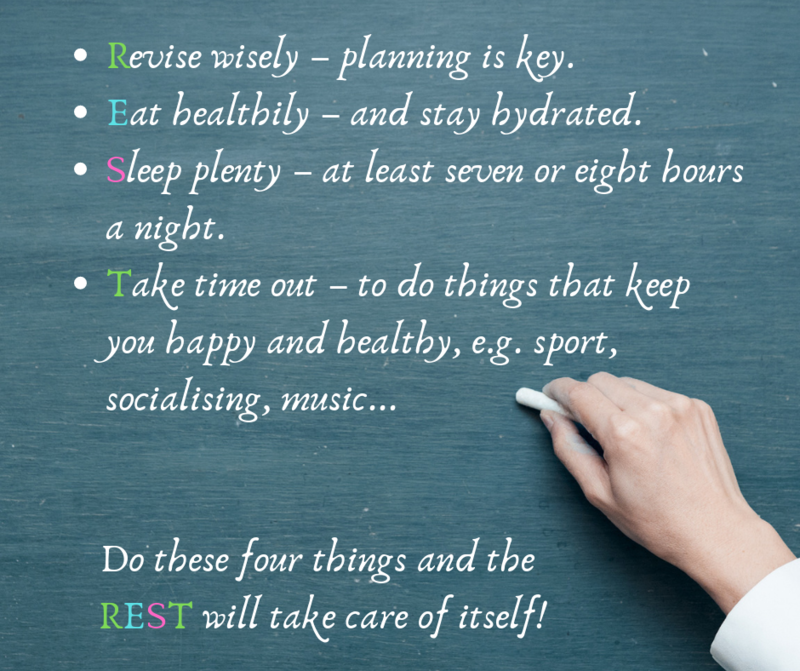 If you’re working hard preparing for big exams, be sure to make time for fresh air and a little gentle (or energetic!) exercise, as well. In the run-up to the National 5 and Higher English exams this year, I’m running two Soup-er Study lunches at a popular local café Heaven Scent in Milnathort, not far from our local High School. No one studies in isolation, and I am passionate about the well-being of my pupils and the importance of pursuing a holistic approach to learning. Consequently, on the TLC blog you’ll find pieces on meditation and yoga plus a couple of revision playlists that my daughter (who luckily works in the music industry) compiled with TLC especially for TLC! Then, back in October, our guest blogger Jenny Thomson of Courses for Cooks, wrote about healthy eating to boost revision stamina and brain function. As you’ll see from the archives on the website, The Learning Cauldron blog is aimed at parents and teenagers, with articles on everything from outdoor learning to revision apps and getting enough sleep. Moreover, it’s often updated, so do check back regularly to read new articles. Alongside our many free resources on YouTube, Facebook and Instagram, for a small fee you can purchase one or more of our English revision podcasts, which are available via the website shop and offer further information to help you boost your English exam grades. I hope you find these four podcasts helpful – they focus on topics ranging from close reading questions types to critical essay tips and language techniques.